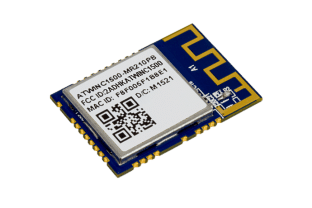 The ATWINC15x0-MR210xB is a low power consumption 802.11 b/g/n IoT (Internet of Things) module, specifically optimized for low power IoT applications. The module integrates Power Amplifier (PA), Low-Noise Amplifier (LNA), Switch, Power Management, and a printed antenna or a micro co-ax (U.FL) connector for an external antenna resulting in a small form factor (21.7 x 14.7 x 2.1 mm) design. 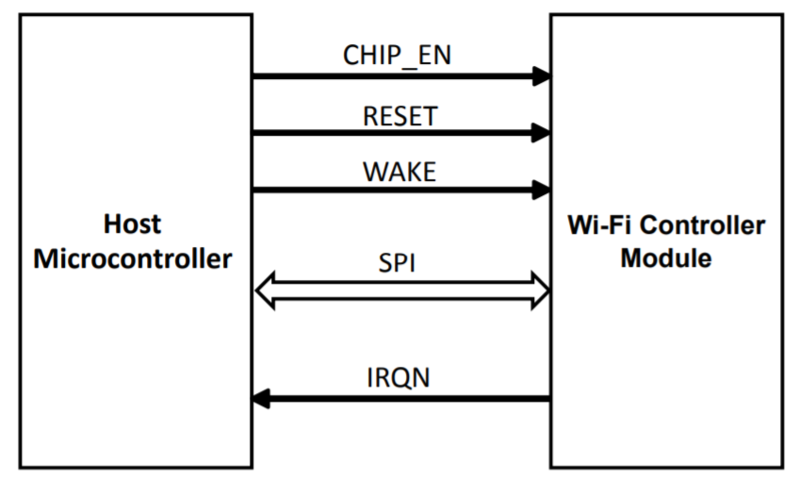 This module is an ideal add-on to existing microcontroller (MCU) solutions bringing Wi-Fi® and network capabilities through an SPI-to-Wi-Fi interface. The WINC1500 connects to any SAM, 24-bit and 32-bit PIC® MCUs with minimal resource requirements. 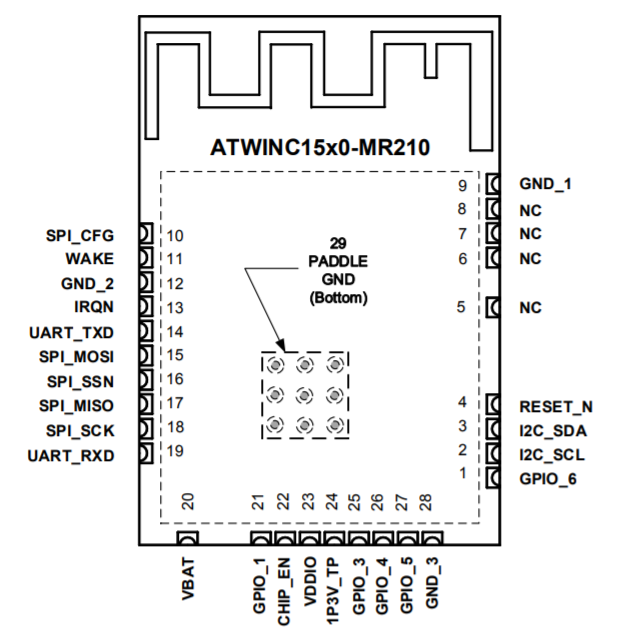 The following figure describes interfacing the ATWINC15x0-MR210xB module with the host microcontroller. The interface is comprised of a slave SPI and additional control signals. 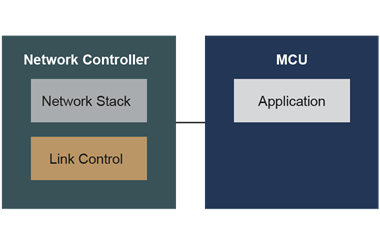 For more details on how to interface the WINC1500 to a host MCU, visit the "WINC1500 MCU Interface" page. 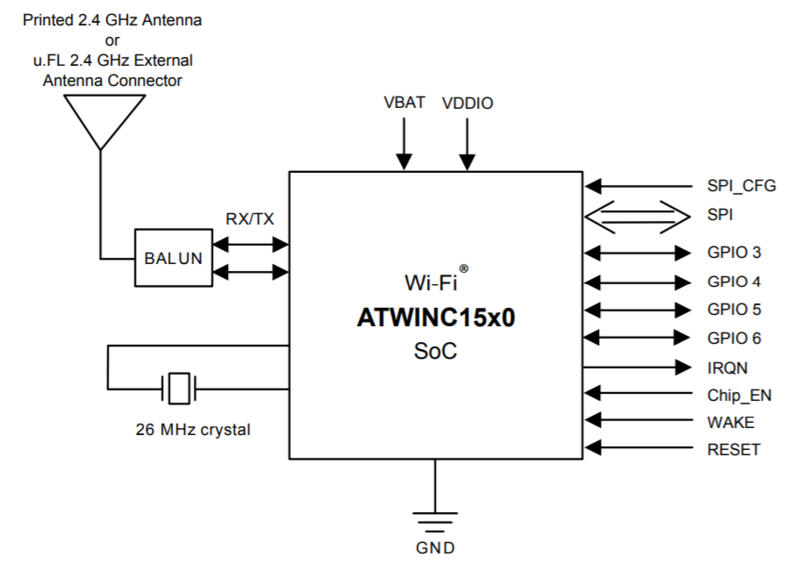 "Wi-Fi Network Controller Software Design Guide"
In addition, the WINC1500's product page contains various design and user guides available to aid in development. For the latest firmware details and corresponding part numbers, please visit the Firmware page on the "Microchip Wireless Connectivity" webpage.